IDLO’s Judit Arenas* has highlighted the rule-of-law aspects of securing justice for children in the developing world. Speaking at an EU-UNICEFconference in Brussels, she described children as highly vulnerable. Rarely empowered as individuals with rights, they suffer disproportionately from a variety of challenges, from natural cataclysms and health emergencies to armed conflict, from difficulty in obtaining registration or citizenship to judicial practices that are unfriendly or outright punitive. As a law-focused organization, Ms. Arenas said, IDLO’s first question was whether nations had a legal framework in place for children; whether this framework was adequate; and whether it was being implemented. Children, polling suggests, understand justice in broader terms than adults, but have a much more limited sense of how it should work in practice. Quoting Save the Children, Ms. Arenas pointed out that many children lacked any knowledge of their legal rights. “If someone violates our rights, we should know that this is not a normal thing,” one child told the charity’s researchers. This, Ms. Arenas said, illustrates the imperative of informing and consulting children, but also the need to strengthen access to justice across the spectrum of child services – not only in dealing with police or the courts, but in the child’s interactions with teachers, social workers, psychologists, government officials and community leaders. She referenced as a positive example the one-stop shops set up by Argentina’s justice ministry, which provide information on all main areas of interest to children – health, legal aid, education or immigration. IDLO has previously partnered with UNICEF to boost legal protection for children living without primary caregivers in post-tsunami Aceh, and teamed up with civil society groups to reintegrate trafficking victims in West Bengal. The organization is now looking for ways to expand access to justice for children in Eastern Europe (outside the EU) and Central Asia, where challenges appear systemic. In many of the countries concerned, judicial systems are unawake to children’s needs and ill-equipped to address them. Courts for minors are absent or in short supply. So are specialized judges, prosecutors and investigators. Violence against children is frequently considered a ‘fact of life,’ while cultural and social norms make it hard to lodge complaints without parental consent. 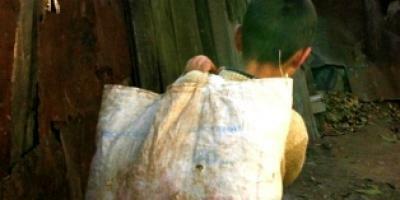 Even worse, well-documented reports of forced child labor and other grave violations tell us that in some former Soviet countries, routine levels of cruelty to children are integral to national life. Urgent work, IDLO argues, is needed to promote a culture of child justice in a region where it is sorely lacking. Judit Arenas is IDLO’s Deputy Permanent Representative to the United Nations in New York.